They say that there is no time like the present and that is certainly the case at Academy Motorsport. 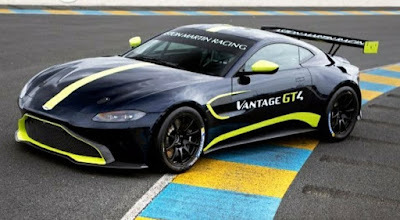 Fresh on the heals of it being confirmed today that the Worcester based team have indeed secured two of the first batch of new Aston Martin Racing's V8 Vantage GT4 ready for the start of the 2019 season, the team have put the first 'feelers' out in the racing community for suitable abled drivers to test for a potential seat. Having raced for the last couple of years within the British GT Championship and the GT4 European Series, team boss Matt Nichol-Jones has tonight posted out to potentially interested parties to contact him at info@academymotorsport.com for a similar campaign in either or similar series.